Looking for our 2D/3D Engineering Suite? 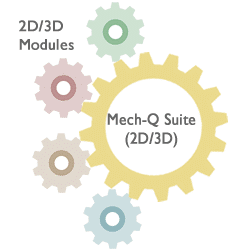 We have a CAD Engineering add-on called Mech-Q that runs inside your CAD application. It contains a Full Engineering Suite which includes Mechanical, Piping, Ducting & Structural modules. These 4 modules can also be purchased separately if needed. Don't have CAD and need Mech-Q? If you do not have CAD (or would like to add a new workstation) we offer AViCAD Pro which is complete CAD containing the Mech-Q Full Suite. In addition to the Mech-Q tools, we also supply you with lots of other tools you just wont't find in other applications. Need to unfold shapes for fabrication? Although not a part of the Mech-Q Suite or AViCAD – this unfolding software allows you to create 2D templates from 3D Shapes. For Metals, Plastics and Insulation Industries. Supports DXF to CNC. CAD is not required. Have an old copy and need to upgrade? We offer affordable upgrades. 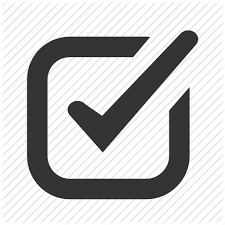 If you need help you can call us at 888-271-7121 or visit our contact form.